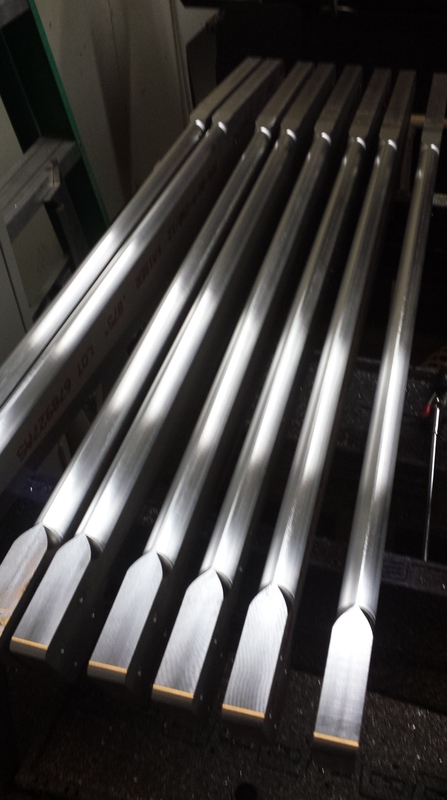 We now have 8 production fuselages off the production line along with most of the welded components. 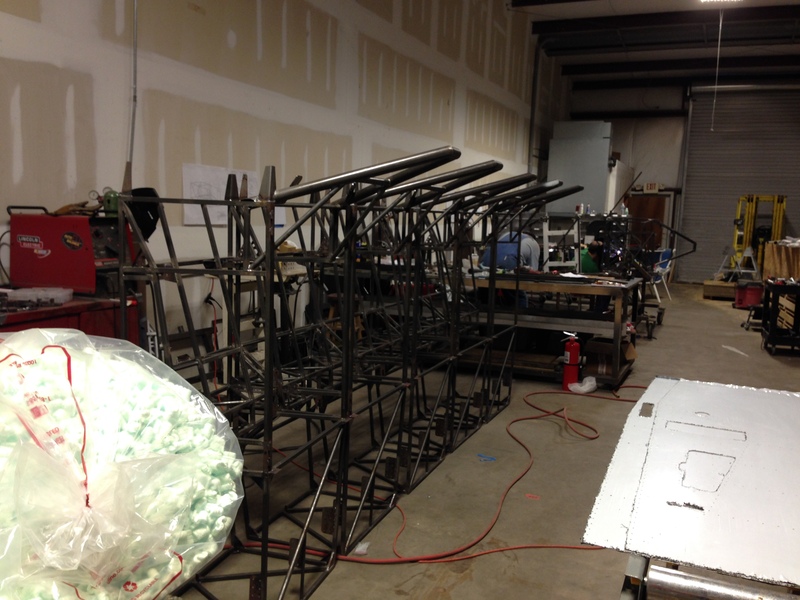 They are going through final QA and touch up before going to the powder-coat shop. The goal is to have them there on Monday morning. 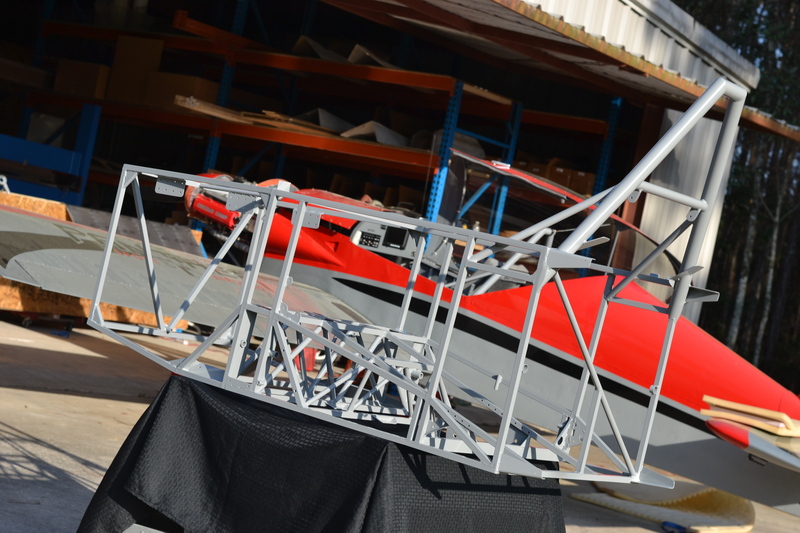 We also have the forward fuselage side and belly skins being run at the CNC shop now – all pre drilled. 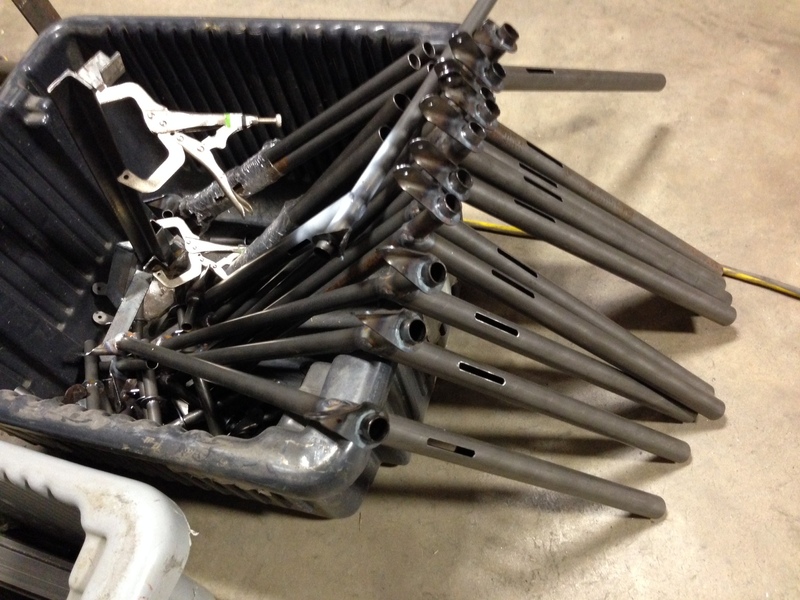 I know they don’t look as impressive naked – but they are going to be beautiful once they are all powder-coated! Just imagine 8 of these babies all lined up! 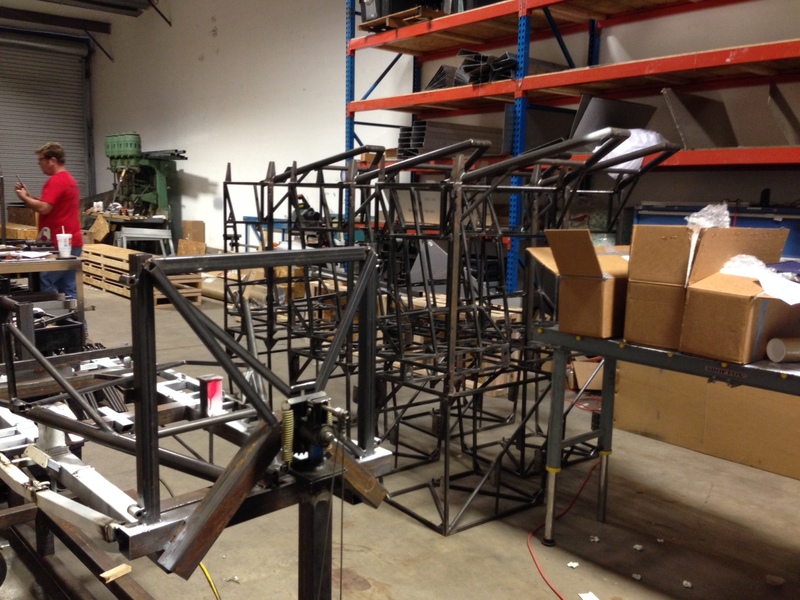 We also are working to get part sub-kits packaged up to make the packing process more streamlined. Canopies are in as well! Our first batch has been received and is awaiting QA. 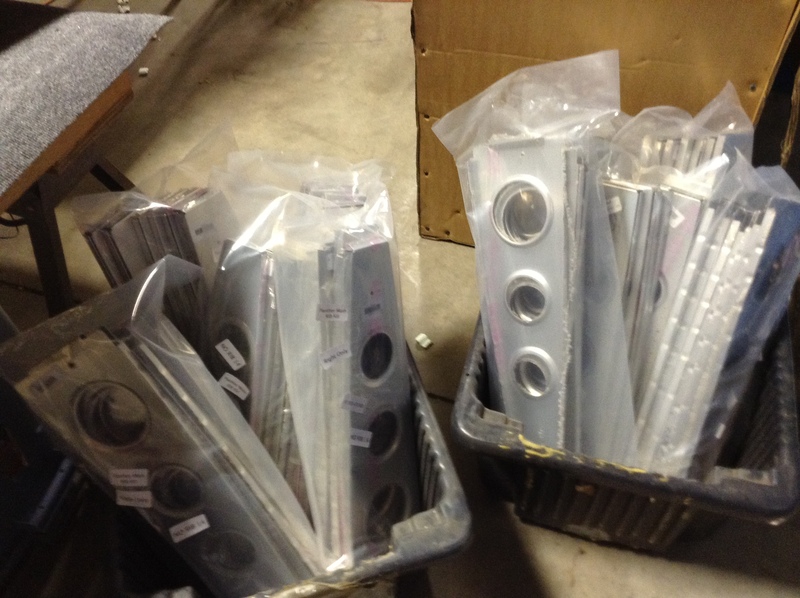 We also have our first production batch of landing gear legs from the CNC shop. So – things are really starting to come together. We still have a long way to go – but there is clearly some light at the end of the tunnel. These next few weeks before Oshkosh are going to be spent dialing in the rest of the production welding and getting customers kits shipped out. After Oshkosh we will focus on the canopy skirt fiberglass mold and the finishing touches on the kits and the documentation. Our new web store will be launching in the next few weeks as well – take a look at the staged website (keeping in mind that pricing and options are not all correct). Constructive criticism is welcome! I can’t believe Oshkosh is already here! Look for an invitation link to join us for our annual OSH Friday night cookout/night airshow soon. This entry was posted in Canopy, Fuselage, Uncategorized. Bookmark the permalink. The new site looks amazing! I’m pretty sure Dan should have “hangar mischief” next to his name, too. Congrats! Any pictures already of the new canopies and does it give extra headroom? Coming soon – stay tuned! And yes – extra head room for the super tall pilots!